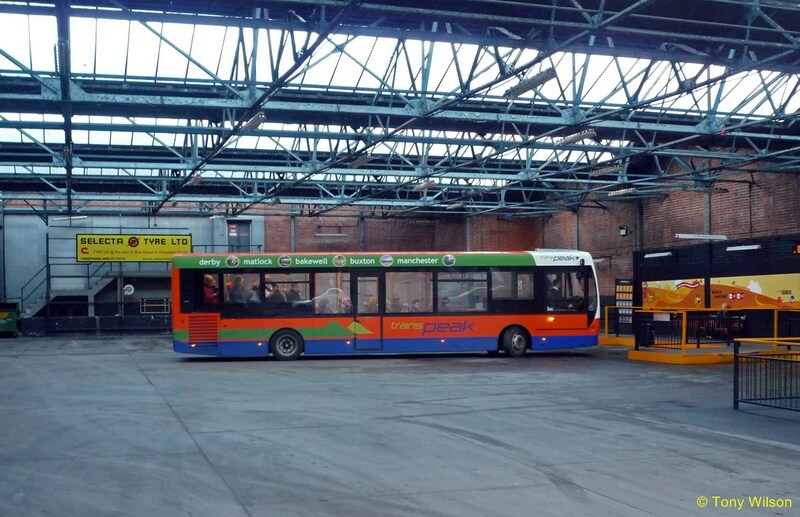 FOCUS TRANSPORT: BELPER BUS STATION STATUE! 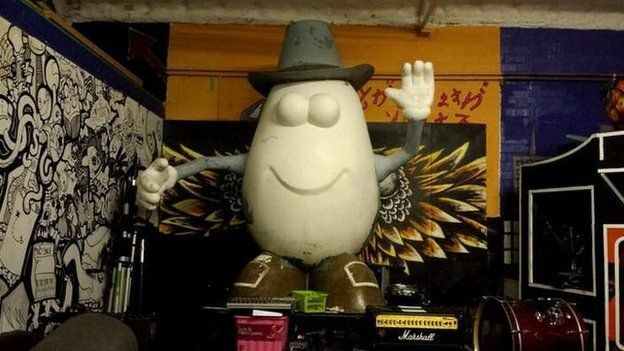 A 7ft fibreglass statue of Mr Potato Head is set to adorn a town's bus station after a new lick of paint. The statue was gifted to Belper in Derbyshire in 2001 by its twin town of Pawtucket in the US. 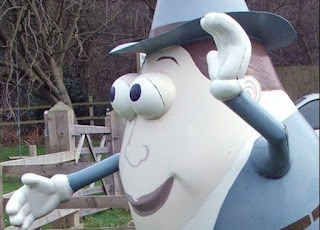 Belper was divided over the statue, described by some as "hideous", and it was quickly vandalised and taken down. Now it is being refurbished by a local youth group, town council leader John Nelson wants it to take pride of place in the centre of town once again. It will stand on a concrete sill in front of the station facing the A6, he said. However Mr Nelson is yet to approach Trent Barton which owns the building and until he has permission, Mr Potato Head will be based over the road at a charity's headquarters from 18 June. "It's just a bit light-hearted fun. He's a bit Marmite - some people like it, some don't. It's a bit of fun for the kids and everybody," he said. Some residents argued the statue was not in keeping with the town's status as part of a Unesco World Heritage site. An area stretching from Cromford, along the River Derwent to Darley Abbey, was granted World Heritage status by Unesco in 2001 because of its important industrial heritage. 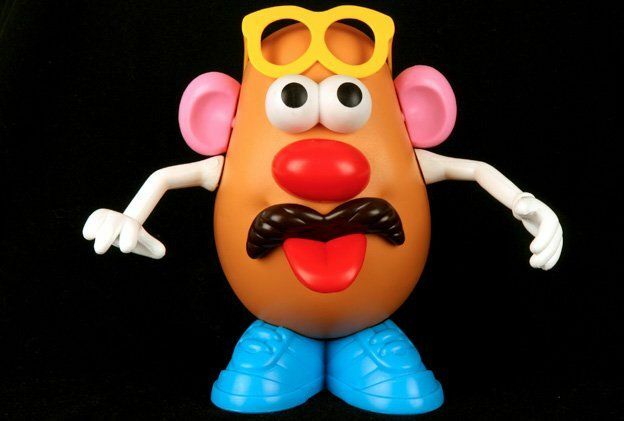 "Let's face it, Mr Potato Head is part of the world's heritage and he's part of Belper now," Mr Nelson said. Andrea Fox, founder and manager of The Drop Inn youth club, said: "We are busy getting the base coat ready for the young people to paint him a new set of clothes from Monday," she said. "We don't know what it is going to look like yet but we have had some quite amusing discussions."